Love is in the air... new Electrolites Footwear release! “Roses Are Red”, a Valentine’s Day special collection, is available now through page in our website. 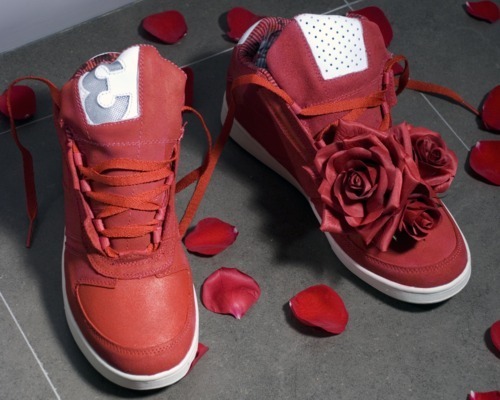 Hand painted in a bright Scarlet Red with matching laces, the sneakers have a detachable bouquet of roses on one shoe that can be used as an accessory for a little added flair to any outfit. The collection is limited to only ONE PAIR IN EACH SIZE. Head to the online store now!